I received this laptop today with the issue of it won’t turn on / charge the battery. 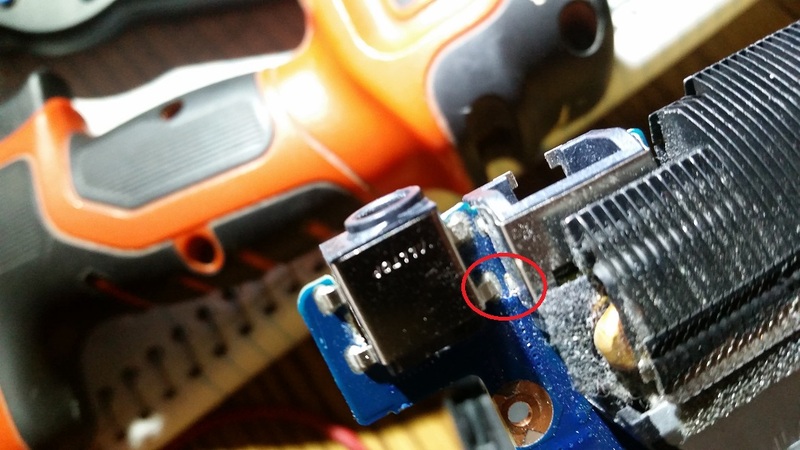 The user attempted to do a home repair, which caused a stripped screw that had to be drilled. When the board was removed, I noticed a hairline fracture on the main circuit that broke the internal traces for the power. 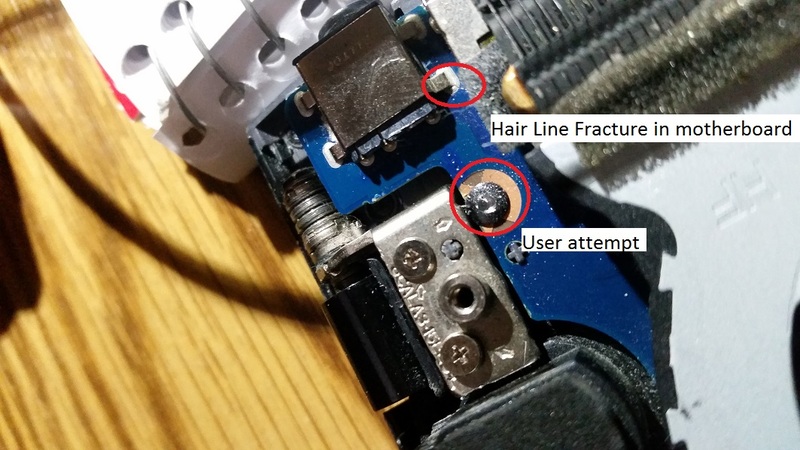 Even if it could be repaired, it is a small chunk of the board that interfaces with the DC barrel connector, and would eventually get worse. I tried, but this is something I deem as a failed motherboard. 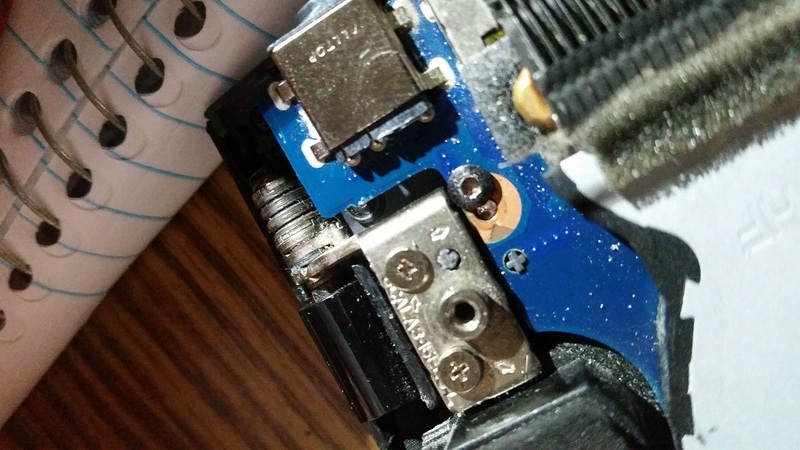 What kind of failures do others run into when fixing laptops? 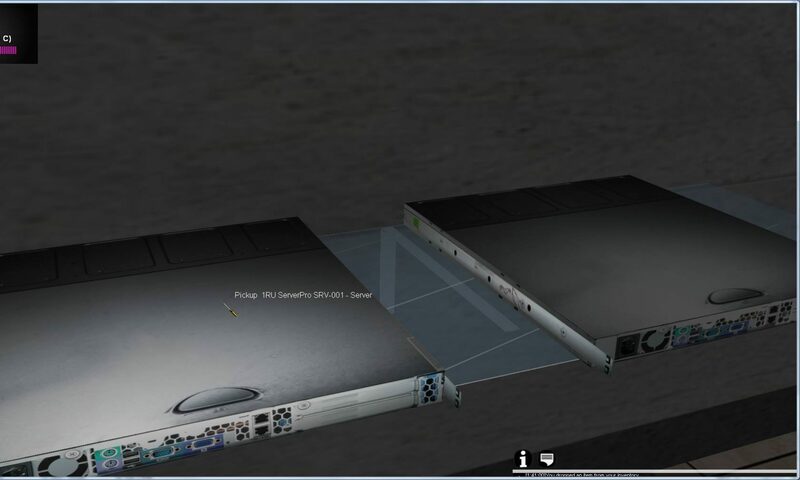 Am I the only one who gets the off the wall issues?